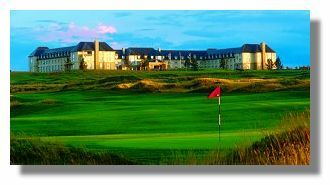 "The Subtle Difference of Excellence"
The five star St. Andrews Bay Golf Resort and Spa, which opened in June 2001, is the first property to be developed in Europe by the distinguished American company, Chateau Elan Hotels. 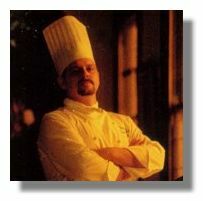 There are Chateau Elan resorts, hotels and wineries in Georgia, Florida and California created by business entrepreneurs Donald and Nancy Panoz. The story goes that whenever they visited the 520 acres of land for sale above St. Andrews Bay, two miles south of the town - at the time just open fields used to grow potatoes - they immediately saw the potential for investment. Beyond the fields were spectacular views over the clifftop out to sea and they knew it would be the perfect location. 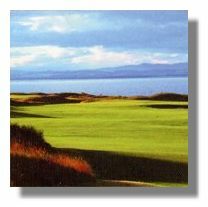 The resort, estimated to have cost in the region of £50 million, features two world class golf courses from which you will enjoy fine views of the skyline of St. Andrews town, the rocky beach of the Fife coastline and out over the North Sea. The Panoz`s imagination, vision and business acumen has now paid off. From the various tees on the golf course or sitting in the Clubhouse the outlook is simply spectacular with subtle changes due to the changing colour of sky and sea. 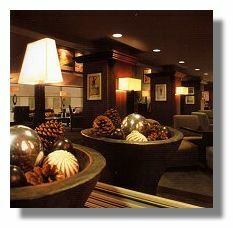 Whenever you arrive at St. Andrews Bay you know that you will expect a certain top-notch level of luxury and service. Driving up into the covered porch at the main entrance, two uniformed young men rush out, one to assist with luggage, the other to valet park the car. We were ushered into the `lobby` which does not quite give justice to the vast glass roofed atrium (akin to a lavish shopping mall) which opens up all around. The first aspect to greet you is a welcoming open fire in a wide hearth and huge sink-into sofas. Above the mantelpiece is a stunning portrait of (I presume) James VI dressed in lace ruff and satin. Candelabras, gilt mirrors and bold patterned rugs add a classic touch to the furnishings. It's an astute and witty concept. Here within a spanking new American designed resort, a gracious baronial Grand Hall has been created as a contemporary throw-back to the traditional Scottish castle. 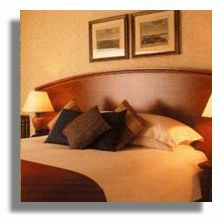 The hotel is designed in the shape of a giant E the entrance drive being in the centre with two sweeping wings on either side offering fabulous views from all bedrooms out over the golf courses, across the sweeping links and out to sea. There are 209 bedrooms including 17 suites. The standard rooms with twin or king-size beds are comfortable enough although disappointingly smack of the usual uniformity of layout and basic fitted furniture. Why do so many hotel rooms look exactly the same as if the beds, chairs, lamps and even the artwork on the wall come from the same design company? However there are added leisure facilities at St Andrews Bay including a Satellite TV, DVD and CD player, high-speed Internet connection, US/UK compatible sockets, tea and coffee tray and a mini-bar. There's a table and two armchairs at the window. 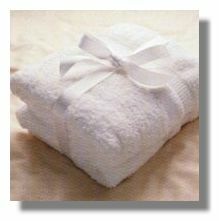 The bathrooms have a touch of luxury with bathrobes, bathtub and separate power shower. But why not treat yourself and book into a suite to offer a fabulous open plan "apartment" with lounge area featuring the TV/ entertainment system, two big sofas, and coffee table in front of a coal effect gas fire. There's a dining table and four chairs, mini-bar fridge, ice-bucket, kettle, cups, etc. Around the corner of this L shaped room, behind a room-divider shelf unit, is a king-size bed. There's another TV here for late night movies. The clothes closet and dressing table unit is well designed next to the enormous bathroom, which features an oval Jacuzzi bath, separate shower and his and her basins. The main restaurant at St Andrews Bay is situated downstairs at one end of the vast "Grand Hall", a light, bright and airy 5,000 square foot Atrium with the glass roof high above. Here is Squires restaurant serving all meals and snacks throughout the day from 6am for breakfast and open until 11pm in summer (10pm in winter). With the choice of a buffet and grill as well as a la carte, this has an informal casual ambience, ideal for golfers coming straight in from the links and also favourite food for all the family. In order that every guest is able to order exactly what they wish, you may opt for self-service and select your own style of steak, pasta, stir-fries or burgers, sauces and toppings from the Theatre Kitchen counter. Here you can watch the chefs "in performance", grilling, chopping and frying, and suggest exactly how you like your steak or burger cooked and served. There's also a buffet with a selection of British and international hot dishes and salads. If you wish to be waiter-served then sit back and study the menu. Appetisers offers a wide selection of seafood including Fried Calamari with Oriental vegetables, Crab, Coriander and Tomato Tian, Smoked Salmon, and Lobster and Tiger Prawns with a truffle butter sauce. Also Pea & Sorrel soup and a classic Caesar Salad. Main courses will also tempt the fish lover - Seabass on a Crab, Ginger and Spring Onion risotto, Monkfish with Rosti potatoes and Salmon on Truffled Mashed potatoes. Also on the menu Breast of Duck on a potato pancake, Ayrshire Pork wrapped in Pancetta with spinach noodles, and Roulade of Chicken stuffed with Wild Mushrooms. For vegetarians there is fair choice including a huge tasty platter of spicy Moroccan vegetables served with Couscous. Side orders include French Fries, green leaf salads and wok fried Sugar Snap peas. 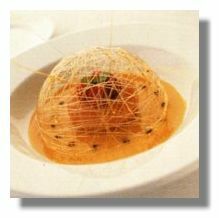 The description and presentation of all the dishes is imaginative with unusual combinations. This spacious open Squires restaurant is rather like being on a Cruise ship, seating 150 people and is certainly fine for groups of friends and families. 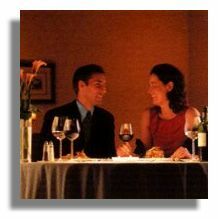 The atmosphere however could never be intimate for a romantic dinner for two. A second restaurant is opening in 2003 to offer guests an alternative setting for dinner. Esperante will be an elegant fine dining restaurant serving an eclectic Mediterranean cuisine within a sunny and romantic Tuscan design. The resort has also been designed as a leading Conference Centre with state of the art business, convention and reception facilities with a ballroom and banqueting facilities to cater for corporate events, meetings, dinners and weddings. At St. Andrews Bay there are two stunning world-class links-style courses landscaped across the wide expanse of the cliff top with breathtaking views out to sea and down to the town itself. Both courses were built by US -based Denis Griffiths and Associates, the architects responsible for other Chateau Elan courses in Georgia and North California. The Torrance Course is designed by the late Gene Sarazen and winning Ryder Cup Captain, Sam Torrance. This is a par 72, 7,037 yard course which sweeps to the left of the hotel down to the coastal edge and meanders back again. This is a walking only course with no cart paths. There are a few witty Scottish touches - a burn winding its way through it under small stone arches bridges. No 14 hole will offer players a challenge, a downhill par 4 with split fairways amidst thick rough and bunkers down to the green overlooking the curved bay itself. 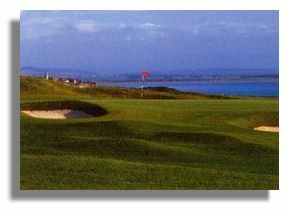 The signature hole is regarded as the 17th, a long par 4 along the cliffs with an inlet of the bay cutting in front of the green. Caddies are available to assist golfers to navigate the dramatic layout. The Devlin Course is designed by the late Gene Sarazen and Bruce Devlin who, over the past 30 years, has been building golf courses throughout the world including Australia, Japan, Puerto Rico, the Bahamas, the US and now Scotland. 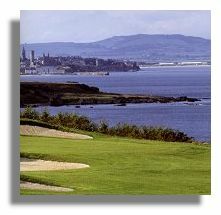 The Devlin course is a magnificent 72 par, 7,049 yard championship course that flows along the rugged coastline with creatively sculpted rolling fairways and greens literally perched above the shore using the natural landscape circumnavigating a wide forested ravine called Kittock`s Den. It `s a longer and extended course which can be walked, given a few hours, but has the option of cart paths. This course has already been described by some of the world's leading golfers as a unique golfing experience. The signature 17th hole is a par 4, 443 yards from the tee requiring a long, blind second shot with the lethal Kittock`s Den and homeward down to the picturesque green. The course is cleverly and deviously designed with many greens appearing to be suspended with nothing but the sea and horizon lying ahead. The 18th hole follows a curve along the cliff edge, necessitating a few heroic shots. "Heaven for the Body, Heaven for the Soul"
As a five star resort, St. Andrews Bay offers guests a first class Spa, with an 18 metre swimming pool, (separate children's splash pool), sauna, steam room, Jacuzzi and gym. Personal fitness programmes can be arranged with advice on weight training and cardiovascular equipment. There's also a health and beauty salon. Whether you've had a tough day out on the golf course or simply need to relax and de-stress, there is the choice of a Swedish massage, sports massage, facials, aromatherapy or hydrotherapy treatments to suit both men and women. 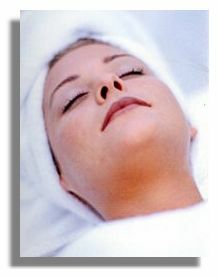 Book a personally tailored day package such as a Detoxifying Ocean Spa Well-Being Spa retreat or Lifestyle Motivator. Whether you play golf or not, St. Andrews Bay is a world class leisure resort for all ages and interests with so much to see and do in the vicinity. It's the perfect place for the family or a relaxing break for a couple. This is an authentic Californian-style leisure and golf resort in the heart of Scotland and the ideal centre for touring around Fife and Tayside. History, heritage, sports, walking, horseriding, fresh sea air and sandy beaches matched by excellent cuisine, service and hospitality. For more information or to make a reservation, see the St. Andrews Bay Golf Resort and Spa Web site.